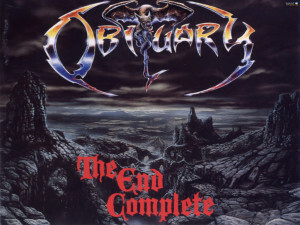 Obituary is an American death metal band formed in October 1984 in Tampa, Florida, United States, under the name Executioner, then changed the name’s spelling to Xecutioner before finally changing their name to Obituary in 1988. The band comprises vocalist John Tardy, drummer Donald Tardy, guitarist Trevor Peres and bassist Terry Butler. The band was a fundamental act in the development of death metal music, and is one of the most successful death metal bands of all time. 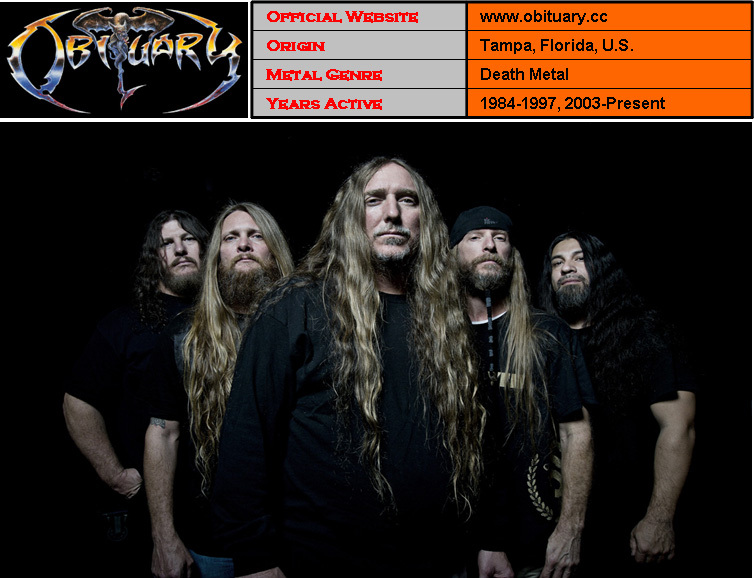 Obituary are listed by Nielsen Soundscan as the fifth best-selling death metal band of all time.